Fantasy Flight Games is pleased to announce the upcoming release of Elder Sign: Omens, a digital game for your iOS, Mac OS X, and Android device! 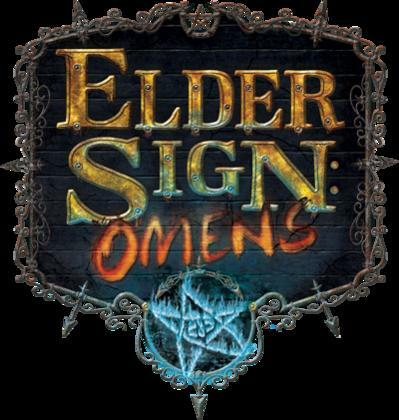 Approximating the popular dice gameâ€™s addictive experience in a portable new medium, Elder Sign: Omens ensures that thereâ€™s no escaping the horrors of the Ancient Ones. For those of us enjoying the original card-based Elder Sign, this can only be seen as good news! It looks good. So I guess it will have some sort of remote gaming? Ooooh! Nice I still have to try my box set of Elder Sign. Planning to break it open on Sunday or Monday night. This is awesome news. Hopefully more board game companies will start releasing their games on to iPads and tablets and whatnot. Can't wait to load that on my iPad2! I'm confuzzled, though- is it 4 player co-op, or single player? Woah excellent. There is a terrible shortage of nice apps for Android. I'm really looking forward to this one! You can play solo with up to four investigators or play a co-op game of up to four people. Oh nice. And they'll make it available as a stand-alone app on OS X. Awesome for poor poor Mac users like me who can't afford an iDevice. I'm a fan of asynchronous multiplayer games on tablets, but pass-and-play may be best for this game's co-op experience. That said, I hope this game comes with asynchronous multiplayer. Nice! All I need now is to get 3 other iPhone owners to play with me. This is fantastic news! The dice game is fun, but being able to play on the bus commute to work will really improve my day! Ha! Yes, I think I'll more be opting for the playing on the train or when I can't sleep. This came out today for the iPhone. I'm downloading it as we speak. They've also announced it for Android now, and iPad soon. I'll drop a review as soon as I've played a few games. I so need this, but they keep giving these vague release dates. Now it's coming 'soon' for Android. Could be anything really..
Downloaded and played a bit last night. This is a very slick app and I didn't run into any trouble. I was pleasantly surprised by the amount of choice/flexibility in the game, the look and feel of the game, and the amount of time it takes to play. This really will be a great game for those long train rides. I played for about 20 minutes and had barely begun my desperate battle against Azathoth. Interested to hear what others think. I'm impressed so far. It is pretty though I found it not as easy to "manage my team" as looking at the tabletop version and seeing "who's what" and "what's up" with locations "all there at once". Will be pick this up tonight, I'll let you now how badly I lose soon after. Will be interested to know what people make of this after playing it for longer. My iPod touch is too old to run it (2G), so I'll have to wait for the iPad version. I'll try to play a little tonight, Yockenthwaite and give you a wee report. I might be interested in the full Mac version as well, if this goes well. Had a bit of a tinker with it last night. Although I can't compare it to the original board game as I've never played it, I was really impressed with this digital implementation. Having said that, I think it will suit the iPad better. I loaded the iPhone version onto the iPad and blew the size up. It was a more pleasant playing experience because of the larger screan, so I'm looking forward to the native iPad version they are promising. FFG really seem to marry impressive audio/visuals while maintaining a good game mechanic. Hope this is the start of more from FFGs! It seems pretty good, fairly faithful to the actual game in terms of rules and play. I find it a little harder to play than the actual game though, as you have to tap on everything to find out whats going on. Its a lot easier to just scan the various tokens and markers on the game cards when deciding what to do. Beyond that its just as fun as the real game is in my opinion. Though some of the transitions between the various game screens seem to take a little too long. Its cool to see the artwork presented front and center, but once I've seen it a few times I'm less excited about the close ups. Multi-player would just be a fantastic addition to it, I've no idea if that's in the works or not though. Really enjoying it so far, and for only Â£2.50!! The tutorials are of the same high quality as the recent video reviews. Playing on an iPad will definitely be a more enjoyable (although slightly more expensive, I see they want to charge $6.99 for the iPad version) experience - sometimes there are some buttons near the edges of the screen that I find hard to tap on the iPhone. And I do end up opening up my investigators almost every turn, to see what they have - which is a usability issue compared to the tabletop version - but overall it's so well done that I don't mind. I agree with Q-man that the "shutter" effect between each scene gets annoying after a while and could be sped up. One thing that differs here, which makes me wonder if I'm playing the tabletop version correctly: when you lock a die with a spell, that die doesn't seem to stay locked for the next character. This seems like a spell is little different than the "focus" and "assist" abilities. I've been playing the tabletop game by allowing the die to stay locked (until used) even if it's another player's turn. This is definitely worth the few dollars it costs. It should be integrated with GameCenter (or their own leaderboards) though, so I could compare my high scores to my friends, or to a global leaderboard.